Let me introduce you to five of my favorite chicken recipes. 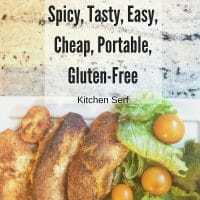 These are recipes from bloggers, Fine Cooking magazine and my own newspaper that I’ve made dozens and dozens of times to rave reviews from my family. Let me introduce to you my family's favorite recipes, aka tried and true dishes I've been making over and over again for several years. Your household is going to love them too. 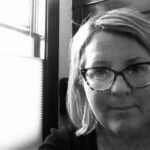 I've been following Jessica's site since before I had my own food blog. 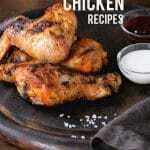 Her recipes are reliably delicious but Juiciest Beer Can Chicken is hands down our favorite of her recipes. She's nailed the perfectly smoky spice rub and the addition of sliced limes inserted under the skin take this dish over the top. This chicken turns out so well that I usually always make two so we have leftovers. My teenager and husband tend to pick at least one chicken totally clean. 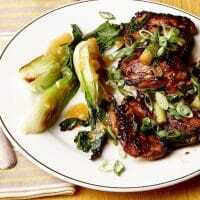 I don't think I've ever met a Fine Cooking recipe I didn't like and this one for Spicy and Sweet Chicken Thighs with Scallions is no exception. This recipe is newer to my tribe. I just started making it last fall but I've made it more than a dozen times in six months. I like this because we feel like we're eating dinner at our favorite Chinese restaurant without the price tag. Being in rural Maine, we have one really excellent nearby source of Chinese food and it's about $100 for the three of us to have dinner. Meanwhile, I can make this at home for less than $10 with rice and broccoli for side dishes. If you're not a fan of chicken thighs, make this dish with chicken breasts. You could probably substitute pork loin too. 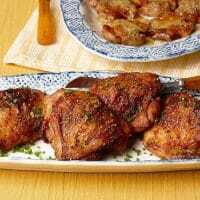 Crispy and Garlicky Chicken Thighs are another deliciously smoky chicken dish, which I love because once the chicken is done marinating, you roast in the oven--so totally hands-free. I also love this dish because you make a simple four-spice rub, sweet and smoked paprika, granulated garlic and cayenne pepper--all of which I usually always have in my spice drawer. Plus it's so easy! I have routinely been making Easy Garlic Lime Chicken since before my soon to be 16-year-old boy was born. What I love about this recipe, which comes from a retired local food columnist, is that there is no marinating required. Mix up, yes, another spice rub, sprinkle it on chicken breasts and cook them in a skillet. Then you deglaze the pan with a bit of lime juice and chicken broth to make the most delicious sauce to serve over the top. I really like this dish with couscous or sweet potatoes. You must try it. It also freezes well and makes a great lunch to take to work the next day. All your coworkers will be jealous! Nagi's recipe for Truly Crispy Oven Baked Chicken Wings is the reason we don't order wings when we're out anymore. 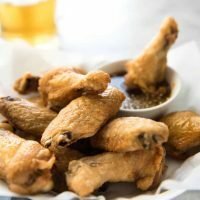 Her recipe uses just a couple of ingredients and a hot oven to create perfectly crispy, crunchy wings every time. You must try this recipe for your next game day or gathering. Do you need a wine recommendation? This white wine is one of my favorites and it goes with everything, chicken or fish. Tell me your favorite chicken recipes! 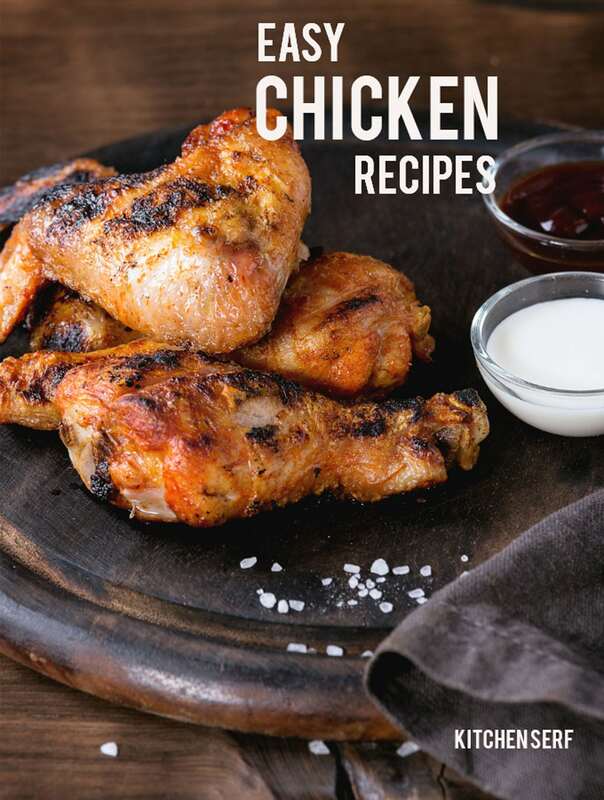 Let me introduce you to five of my favorite chicken recipes. These are recipes from bloggers, Fine Cooking magazine and my own newspaper that I’ve made dozens and dozens of times to rave reviews.